GreyCoin is pure Proof of Stake coin, except during the initial distribution stage when it will be POW/POS. Premine 0.76% for Dev support and future Dev. We already have 10 other colours..
Boring, copy&paste, nothing new, premine...NEXT! Wohoo another PoS coin i love these! If you are worried about Scrypt Asics, this coin will only be POW for the first 10K blocks, after it will be POS only. 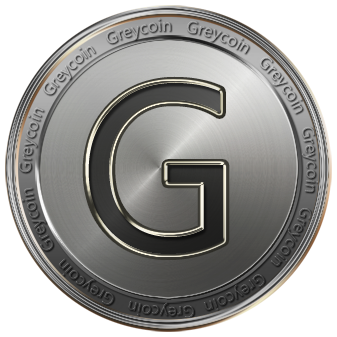 Re: [ANN] GreyCoin (GC) | Launch 17:00 GMT / 1:00 EST 5/1/2014 - 48 hrs to go! Re: [ANN] GreyCoin (GC) | Launch 5/1/2014 - 17:00 GMT / 1:00 EST - 48 hrs! We have our first pool! I will be updating the OP shortly. seems interesting, will keep an eye. Is there anything that sets this apart from the rainbow of coins? have any news? only clone? * The natural choice for mining! * There is a mining fee of 1% and donations are appreciated! Register now to be ready! Interesting. We will setup a pool! Let me know, I'll add it to the OP. Block Explorer and faucet in the works. Also need more seed nodes. Re: [ANN] GreyCoin (GC) | Launch 5/1/2014 - 17:00 GMT / 15:00 EST - 40 hrs! Yes, I will do that. Thanks!